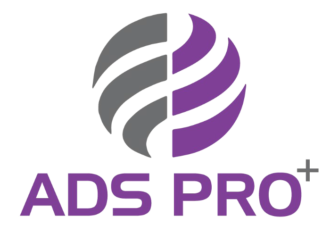 ADS PRO+ Services provide High-end forms of coating and lining applications. Beyond the traditional application systems, ADS offers specialized delivery systems which provide the customer and ADS with the ability to specify the highest performance coatings available from today’s suppliers. The size of our workforce allows us to accommodate schedules that other contractors would find impossible to meet and to deal with unforeseen circumstances without disrupting job schedules. Proven Coating solutions for Sea Water, Waste Water, Drinking Water infrastructure including Pipe Internal linings using Liquid Polymers and Composite materials. Engineered solutions with skilled applicators using state-of-the-art technology for Quality Installations. INTERNAL COATING PLANT: Equipped to provide the best in yard coating for large onshore and offshore projects, ADS has over the years successfully executed multiple coating assignments simultaneously, while adhering to its commitment to quality and project completion deadlines. Narrow Diameter Pipe Internal coating expertise and Specializing in the application of Liquid Linings and Coatings, but having the experience and technology to apply any liquid lining or coating system gives ADS PRO-SHIELD the ability to solve any of your corrosion challenges. ADS understands that every tank, vessel, pipe, and pump is critical to your process. That’s why we believe it’s best to be proactive and protect them from corrosion before they enter service. ADS has extensive experience internally lining and externally painting tanks and vessels, both in-house and in-field. Whether the tank requiring lining has a 4 foot or 200-foot diameter, ADS PRO-SHIELD can create a plan to abrasively blast and coat the required surfaces. Having trouble with a certain tank style or service? Our Principles have probably dealt with the problem before. Structural steel for installation both above and below ground is the foundation of your facility and often requires coating. These items frequently have unique needs. ADS PRO-SHIELD’s team works with clients to customize solutions that will protect structural steel regardless of the HP/A service it is entering. The potential for a fire emergency is a dangerous reality at every industrial site. Applying Intumescent Fireproof Coatings to structural steel and other assets at your facility provide peace of mind that there is a frontline defense in place to save lives and protect your facility if a fire emergency should ever occur. 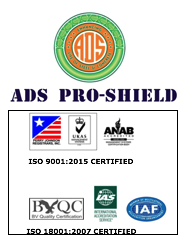 ADS PRO-SHIELD FOR THE DEMANDING BUSINESS IN INDIA. Plural component coatings are designed to enable rapid curing to minimize downtime of the equipment, especially important in immersion services. In addition, the elimination of most VOCs (Volatile Organic Compounds) in high solids content coatings enables their use without having to shut down operations due to hazardous atmospheres. In order to have the ability to apply the full range of multi-ratio coating chemistries, ADS acquired a Graco Two Component Pump with computer tracking and performance monitoring capability. ADS PRO-SHIELD presently owns Four configurations of plural component pumps to ensure we have the right pump for the range of plural technology coating systems available today. Within the coatings industry, there is a trend toward continuing to lower solvent emissions levels. The trend is to reduce VOCs (Volatile Organic Compounds) with reactive-cure products. Two-component materials have the capability of achieving VOC levels of 225 to 278 grams/ Ltr. This is a growing trend toward water-based technology, and a wide range of plural-component coatings are available to meet this need. With three basic product platforms available, reactive-cure coating solutions provide a substantial amount of performance flexibility. Many are capable of the wet-on-wet application allowing the product to move straight from priming to painting with no cure time required. Epoxy Technology: Epoxies consist of an epoxy resin with tough corrosion protection that can be sprayed wet-on-wet with a urethane or Non-Isocyanate (NISO) topcoat. They typically are used in primer applications and provide robust chemical resistance. Urethane Technology: Urethanes can be used as a topcoat in direct-to-metal applications but most often are used over a primer for improved corrosion protection. At the upper end of the spectrum, they can provide a high-end quality finish comparable to the coatings used in the automotive industry, with exceptional weathering characteristics and strong chemical resistance. NISO Technology: NISO coatings can be used either as a topcoat or a direct-to-metal primer application with comparable performance capabilities to urethane technology, yet they don’t contain isocyanides like urethane. They provide durable weathering characteristics, solid chemical resistance, and a high-quality finish. With a significantly longer pot life than urethanes, they minimize material waste. This coating tends to cost more than other reactive-cure options. Mixing and Applying: Materials can be hand-mixed, but this process typically creates more material waste. It’s difficult to determine exactly how much coating will be required, and the pot life has to be longer ( typically three to four hours) to allow adequate time to mix, prepare, apply and clean up. Any product not used within the pot life has to be disposed of, creating additional costs. A proportioning pumping system can eliminate a significant amount of labor, energy, and waste from your painting process. In essence, there is no pot life because the material is mixed near the spray gun when it’s needed. Cure Time: Two-part coatings typically cure faster than single-component materials and at lower temperatures than baking products, so they spend a shorter time in the oven or air drying (see Figure 1). They don’t have to be fully cured when removed from the drying area, so less energy is required to get top performance. When using a wet-on-wet application, one step of the curing cycle can be eliminated by going straight from the primer coat to topcoat. And if you use proportioning pumping system, you can formulate the coating to cure in as little as 60 seconds. Coverage: With a high-performance coating operators may only need to apply one pass rather than multiple applications, saving time and labor costs. A considerable amount of saving in Apparent and Actual Losses while proportioner pump spraying. In order to be an applicator for the majority of extreme performance coatings the contractor generally must be certified by the Paint Manufacturer to ensure proper deployment of their product. High-performance coatings can be very difficult to apply and over the years ADS has learned that each product has its own challenges. Through certification, these challenges are identified and methods to address them presented. ADS never starts a plural component application without a technical representative on site to assist in ensuring the delivery system and application methodology function in accordance with manufacturer’s recommendations. ADS develops, in co-operation with the manufacturer, industry specifications, and the customer’s independent coating inspector and a quality control plan intended to ensure that each step of the coating system is properly executed and in compliance with the manufacturer’s specifications. ADS Pro-Shield provides a broad range of surface preparation and coating services using Automated Plant & Machineries for both In-situ and Factory Applied Linings. ADS differentiate through our industry expertise and by mobilizing Plant & Machineries to Project site.